This chapter presents the overview of concurrent design process of green composite products with special focus on conceptual design stage of natural fiber composites product development. Design of green composites product especially during the early product development stage requires three main aspects in product design which are materials, design and manufacturing process to satisfy lower cost, high quality and fast development time requirements in order to ensure successful product launch into the market. 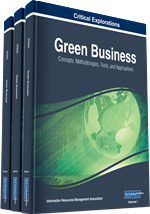 In this chapter, the concurrent design process of green composite products are discussed involving several main stages in product development such as green composite materials selection for both natural fiber and matrix constituents, conceptual design development and concept design selection of green composite products, and green composites manufacturing process selection. In addition, discussion on life cycle assessment of green composites is also included in order to provide further insight of the sustainability design requirements to the overall product development process. Concurrent design is part of the major activities within the overall product development process. In general, systematic product development process follows Pugh product development model, termed as Total Design, which comprises of market analysis, product design specifications, conceptual design, detail design, manufacturing, and sales (Pugh, 1991). In addition, other product development models also proposed embodiment design stage to be conducted in between the conceptual design and detail design stage such as proposed by Dieter (2000) and Pahl et al. (2007). Figure 1 shows the major activities in product development process.